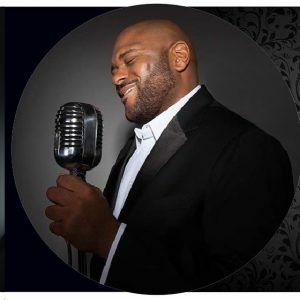 Ruben Studdard, the Grammy nominated R&B, gospel and pop singer was the winner of American Idol’s second season. He has recorded six studio albums, appears frequently on TV, toured extensively and has sold over two million albums worldwide. For Ruben Sings Luther, my goal was to not only to pay tribute to Luther but to add my own passion on top of Luther’s brilliant songs. It all started with my mom who has always loved Luther and played his music in our home continuously – especially during Christmas. You can say I grew up with the world’s biggest Luther fan. In my young teens, I would perform a Luther song or two at weddings and people would keep requesting more of his hits. I recorded ‘Superstar’ awhile back which was Grammy nominated and sang different Luther songs during my live shows. But people always asked when I was going to do an album of Luther’s songs. Happily the day has arrived. It was a thrilling experience selecting the songs from his different albums and putting my own interpretation on them. I am so proud of this record. As for the tour, we are not only recreating some of the production elements, musicians, background singers, wardrobe and lighting that were ever present when Luther took the stage, but my heart and soul will be in every note I sing as I honor one of the greatest vocalists we’ve ever had.